Somewhere in the farmlands of Georgia, there is a man whom Sister Sara Ann Abell sometimes thinks about. The then 83-year-old Sister of Charity who lived in Leonardtown says that she will never forget the man who came to her nearly 15 years ago because of his desire to learn to read. 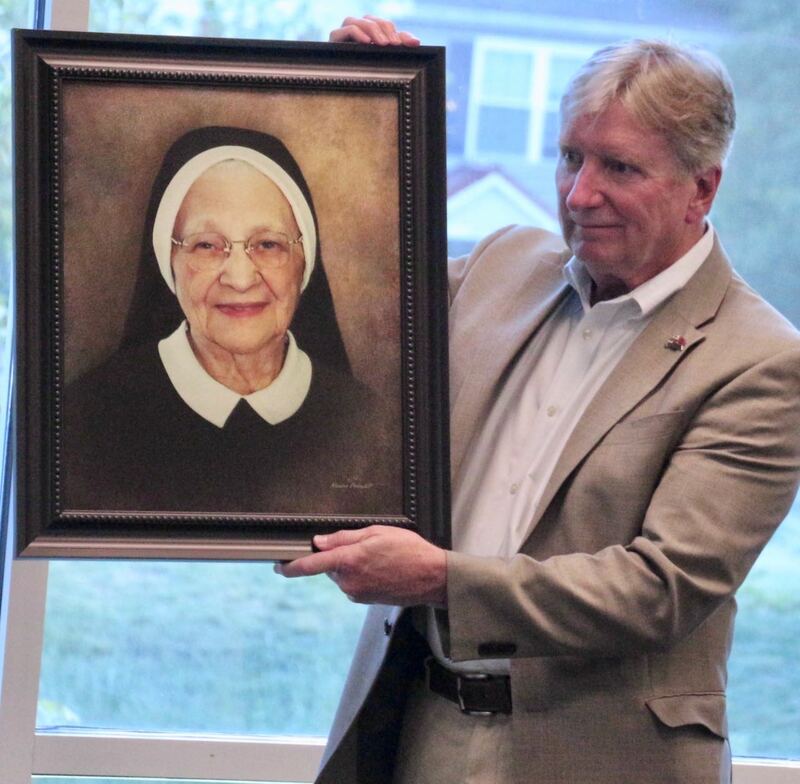 Sister Sara Ann could tell countless stories of adults, young people, the mentally handicapped and others who have learned to read because of the efforts of the Literacy Council of St. Mary’s County, which the nun founded in 1980. The Literacy Council, which trains volunteer tutors and matches them with those who want to learn to read, was born out of Sister Sara Ann’s desire to get her students involved in helping others. 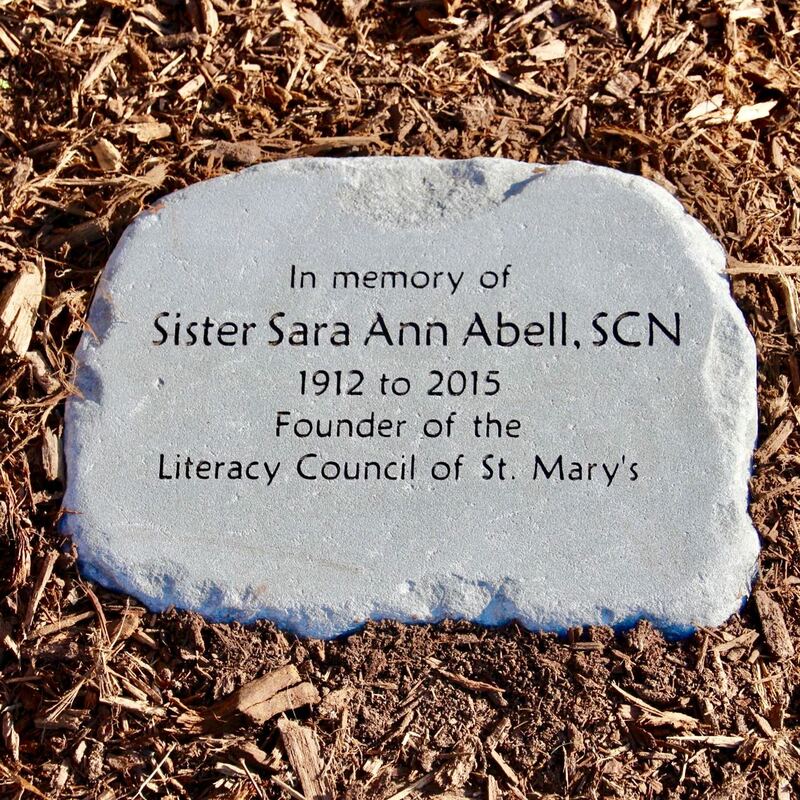 With donations from the United Way, civic groups and private individuals, the Literacy Council was established with Sister Sara Ann as its first president. Nearly 500 people have learned to read thanks to the efforts of Sister Sara Ann and her tutors. The volunteers are trained and certified using the Laubach method developed by an education company based in Syracuse, NY, that has standardized tutoring methods and provides certification. Since it first began, the Literacy Council has expanded its efforts to help those in need. Sister Sara Ann and tutors go into group homes, homes for the mentally disabled, the county detention center and drug treatment centers to teach persons how to read, do basic math, prepare them for the GED (high school equivalency exam) and assist them to learn whatever other skills they need to learn. The council also teaches English as a Second Language to new immigrants preparing for American citizenship exams. A native of Leonardtown, Md., she attended St. Mary’s Academy there, which was staffed by the Sisters of Charity of Nazareth. 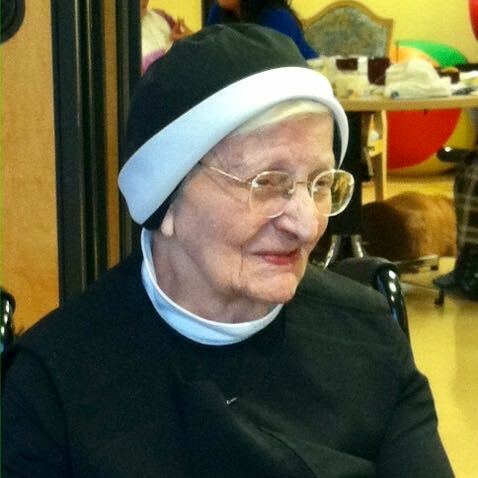 After graduating in 1930, she entered the Sisters of Charity at the age of l8. She earned an undergraduate degree in social sciences from Spalding College, Louisville, Ky., and later earned two master’s degrees: one in history from the Catholic University of America, and another in religious education from Spalding. In her years as an educator, she served as a high school principal and administrator and taught at the high school and college level in several states, including Kentucky. Maryland, Tennessee, Ohio and North Carolina She studied journalism at Seton Hall University in New Jersey and sponsored high school newspapers and yearboo ks at six of the schools in which she has taught. She is a member of the Catholic Historical Society. Quill and Scroll, and several religious and charitable organizations. She is also a certified catechist. Read more about the Literacy Council of St. Mary’s County.